This is an excerpt of a letter read to me by a group of fellow urban pastors about 15 years ago. I hadn't heard of it before then. 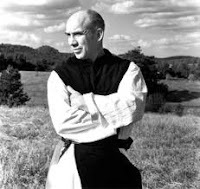 It is correspondence from Trappist monk and author Thomas Merton to a young peace activist named Jim Forest during the struggles to end the Vietnam War. The stories of both Merton and Forest are compelling and worth exploring. The occasion on which this letter was read to me marked a moment in which my confidence in the "cause" of the institutional church was at a low ebb. I will forever be grateful to my friends for sharing it with me at that crossroads. Since then, I've read the letter from different perspectives at different times. It expresses enduring and principled insights worth passing along. I've bolded phrases that strike me as particularly poignant and worthy of contemplation. peace has continued throughout his life. “Do not depend on the hope of results. When you are doing the sort of work you have taken on, essentially an apostolic work, you may have to face the fact that your work will be apparently worthless and even achieve no result at all, if not perhaps results opposite to what you expect. 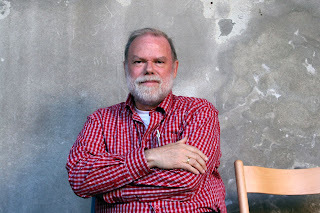 "As you get used to this idea, you start more and more to concentrate not on the results but on the value, the rightness, the truth of the work itself. And there, too, a great deal has to be gone through, as gradually you struggle less and less for an idea and more and more for specific people. The range tends to narrow down, but it gets much more real. In the end, it is the reality of personal relationships that save everything. "You are fed up with words, and I don’t blame you. I am nauseated by them sometimes. I am also, to tell the truth nauseated by ideals and with causes. This sounds like heresy, but I think you will understand what I mean. It is so easy to get engrossed with ideas and slogans and myths that in the end one is left holding the bag, empty, with no trace of meaning left in it. And then the temptation is to yell louder than ever in order to make the meaning be there gin by magic. Going through this kind of reaction helps you to guard against this. Your system is complaining of too much verbalizing, and it is right. "The big results are not in your hands or mine, but they suddenly happen, and we can share in them; but there is no point in building our lives on this personal satisfaction, which may be denied us and which after all is not that important. "The next step in the process is for you to see that your own thinking about what you are doing is crucially important. You are probably striving to build yourself an identity in your work, out of your work and your witness. You are using it, so to speak, to protect yourself against nothingness, annihilation. That is not the right use of your work. "All the good that you will do will come not from you but from the fact that you have allowed yourself, in the obedience of faith, to be used by God’s love. Think of this more, and gradually you will be free from the need to prove yourself, and you can be more open to the power that will work through you without your knowing it.